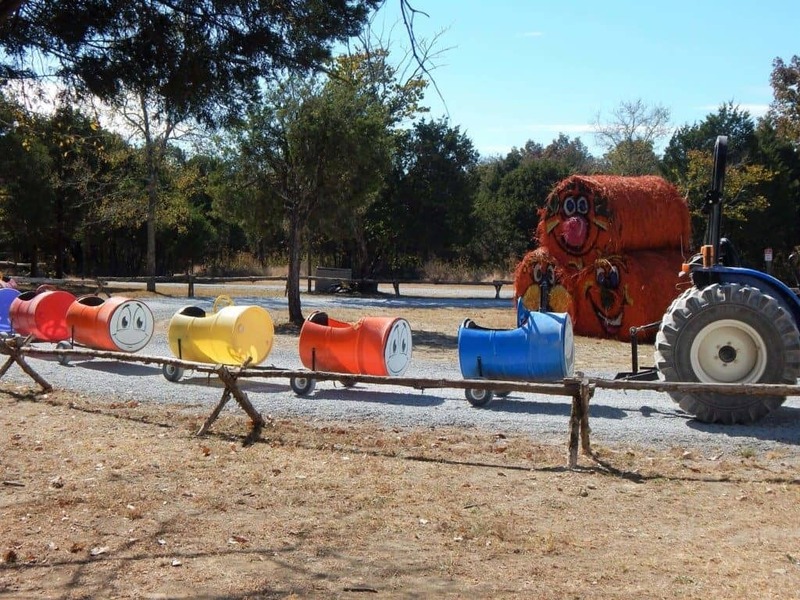 Lucky Ladd Farms, located south of Nashville in Eagleville, TN, provides three seasons of educational agricultural fun. The 60 acre farmstead opened to the public in 2008 and continues to add activities and experiences every year. Our first visit to Luck Ladd Farms was in the summer of 2014. At the time the farm had plenty of activities to keep our kids busy for more than half a day. Four years later and I think the farm has doubled in size offering outdoor playscapes, animals to visit, an educational hayride and more! You will need to visit several times to have time to really see and experience everything. Thank goodness you can buy a season pass and unless noted, all activities are included in admission. There are lots of plans in the works for additional fun in 2018. The Ladds are currently installing a rope maze game which should open in time for spring. More additions will be revealed in the fall. 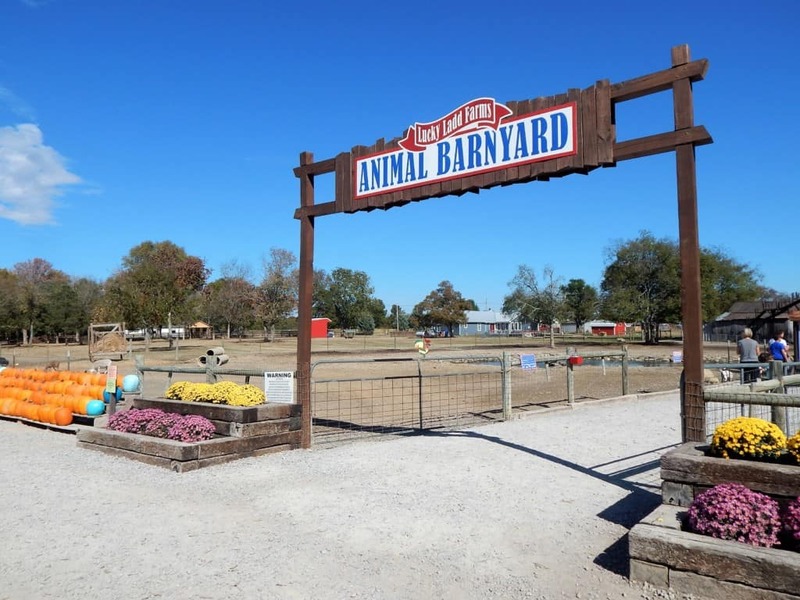 Lucky Ladd’s Barnyard is HUGE and has hundreds of animals to watch, pet and feed. Food is available for $1 a bag from the Farm Market next to the farm’s main entrance or in machines throughout the barnyard for a quarter per handful. Llamas and goats will happily eat right out of your hand. Pony rides are available for smaller children. The ponies are able to take kids under four feet tall and weighing less than 75 pounds for a ride in a circle. (There is an additional $5 charge). When I think about farms, animals and crops come to mind. However, Lucky Ladd Farms has a gigantic playground with climbing gyms, swings, and slides for all ages. This is my kids favorite part of the farm and they can happily spend an hour or more running around and playing with new found friends. There is even an area just for preschool aged children called toddler town that has smaller slides and swings. Instead of a sandbox, Lucky Ladd has a giant corn box filled with shovels, buckets and toy trucks. My kids love the jump pad! 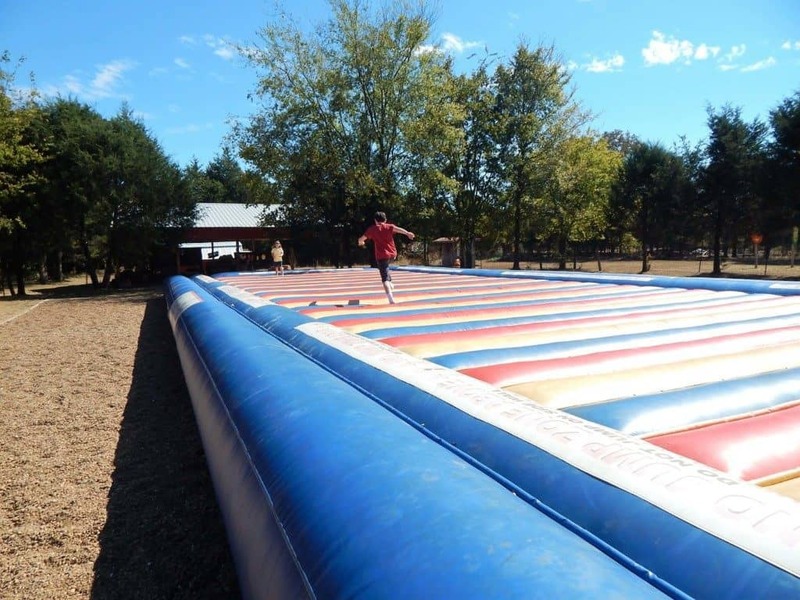 It is like an open bounce house on steroids with room for lots of kids to safely jump together. The tractor train is just right for younger children. The cars are made of 55 gallon drums and are pulled by a tractor around a circular track. You can ride with your child, but I saw lots of Moms that allowed their kids to ride while they watched. One of my favorite attractions is the Wagon Ride. Climb aboard a large wagon with built in seats and go on a ride through the woods narrated by the Ladd family. We learned about native animals that live on the farm as well as the area as a whole. This short walking path wanders through the woods. 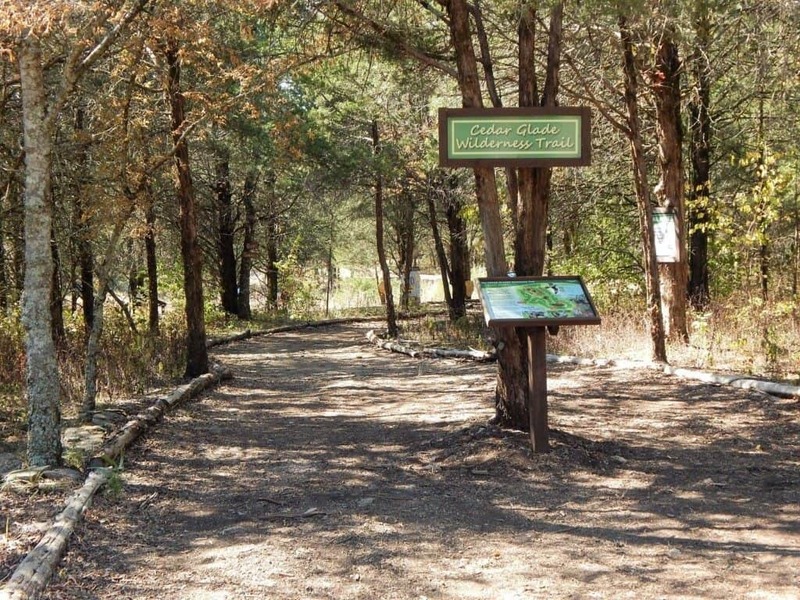 If you are quiet you may see wildlife along with butterflies and native plants. 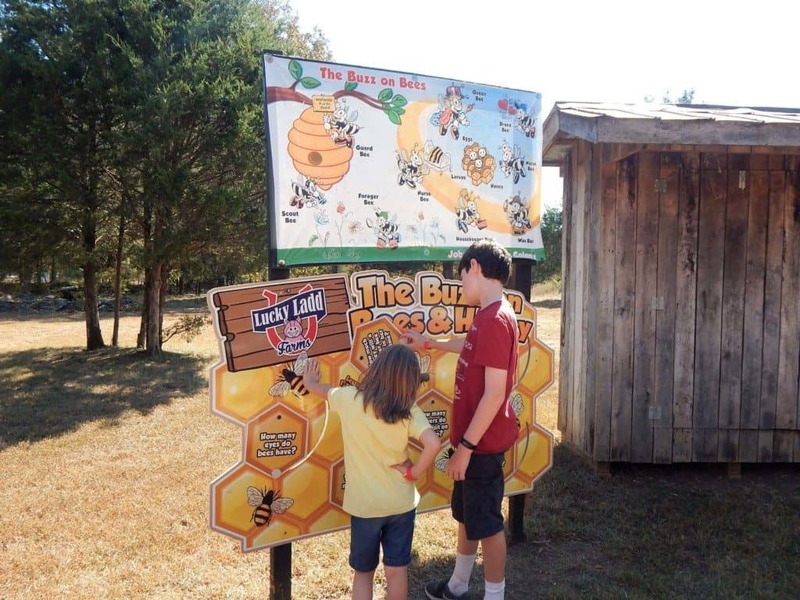 Beyond the giant playground is an area with educational exhibits where you can learn about bees, animal habitats and barnyard facts. Sometimes this section is reserved for group field trips, but if you get a chance it is worth walking through and exploring the exhibits. Spring is the best time to visit see the baby animals. They are so cute when they are brand new and it’s fun to watch them frolic and jump through the fields. There are also several special events during the spring. The season opener is Lucky Ladd Farms’ Easter Festival. This year it will be held on March 30 and 31st from 11 AM to 4 PM. Families love the “Chaos Free” Egg Hunts because the field is open all day and every child is guaranteed the same great prize. Community Appreciation Day is also held in the spring. Families can visit for free with donation of a non-perishable food item per person. It’s the farm’s special way of thanking the community for their love and support and the Ladds collect a ton of food for their local food pantry. This year (2018), Community Appreciation Day is April 28. Bring in a non perishable food item to donate to Greenhouse Ministries food bank and/or give a $3 donation to the food bank in exchange for complementary admission. These attractions are only open during the summer; typically between Memorial Day and Labor Day but the actual dates depend on the weather. Tennessee summers get hot, and while there is shade in some areas of the farm, in the summer your kids can cool off in the splash pad. The bubble blast adds to the water fun with a mountain of bubbles to play and splash in. The water isn’t running in the picture below, but it gives you and idea of the size of the splash zone. Pick your own vegetables to take home for a fresh and healthy summer meal. My kids are not big veggie fans, but I’ve found if they can pick their own vegetables from the field they are more likely to at least try something new. Tomatoes, squash, green beans, cucumbers, okra, peppers and more are ripe for the picking. It’s a great way to teach kids where their food comes from and enjoy authentic farm fresh experience together. Prices vary depending on what you pick. This summer Lucky Ladd will feature special “Pick with the Farmer” days during the week for those that might be a little unsure of how to harvest the vegetables on their own. Specific dates will be posted on our website around mid-March. A fun fact…did you know Lucky Ladd Farms are home to the largest straw bale garden in the world? They are planning some classes for straw bale gardening during the 2018 season if you want to try out the technique at home. The fall is my favorite season in Nashville. 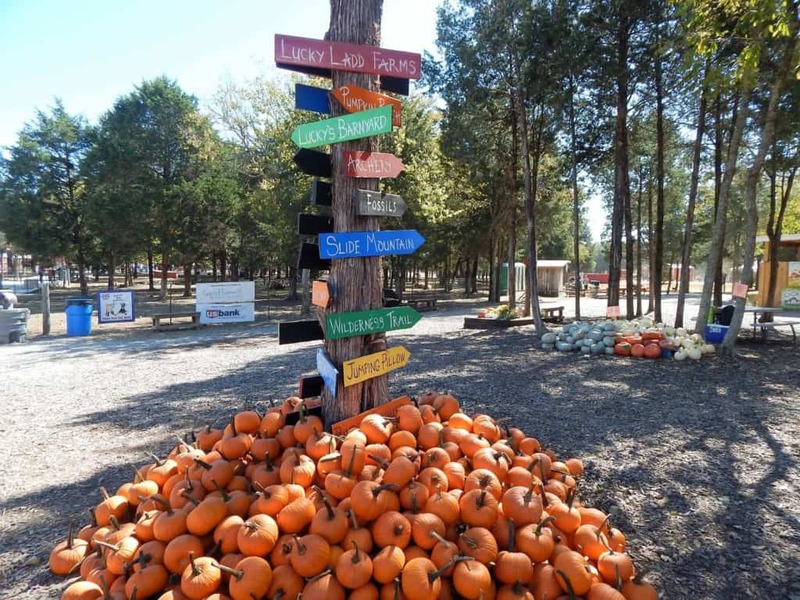 The weather cools down, the leaves change, pumpkins are available and the corn maze opens. In 2017 Lucky Ladd Farms celebrated the Nashville Predators amazing season with a Preds themed maze. I’m sure 2018 will be just as creative! Pumpkins in a variety of sizes are available to purchase. The pumpkins are sourced from other local farms. Not all farmers are comfortable with the public visiting their farms, so partnering with Lucky Ladd to grow pumpkins is a great way for them to diversify their operations and help support their families. 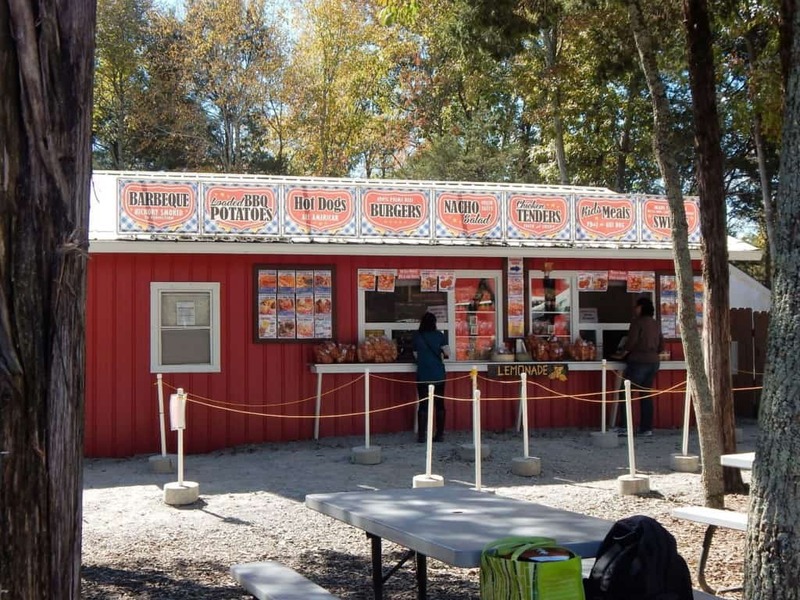 Lucky Ladd Farms has five different food venues scattered throughout the grounds that offer snacks and lunch. Options include pizza, hot dogs, BBQ, chicken tenders, loaded baked potatoes, salads and more. Satisfy your sweet tooth with ice cream, kettle corn and fried pies. You can bring lunch and eat at one of the picnic tables outside the farm gates, but outside food is not permitted once you enter the farm. One unopened bottled drink per person in your party is allowed. Porta Potties and baby changing stations are available throughout the farm. While I know we all prefer full bathrooms, Lucky Ladd is a farm and doesn’t have the plumbing available to have full restrooms on the property. My kids and I thought the porta potties were clean and well maintained. Bring some quarters to purchase food for the animals. Use sunscreen and bring a hat. There is shade in some areas of the farm, but there are some attractions that are in the sun. Consider bringing a small umbrella to create your own shade. The paths at the farm are not paved. A jogging stroller or wagon with larger tires is easier to maneuver. You can also rent a wagon from the front gate when you arrive at the farm. Wear closed toed shoes to keep feet safe on all the different attractions. The crowds are lightest in the spring and summer. The farm often has a handful of local season pass families that visit after lunchtime during the week. They find it worth missing the occasional nap and dealing with the heat because they can practically have the whole park to themselves. Remember to bring a towel and change of clothes to enjoy the splash pad. For the best bang for your buck, consider a season pass. 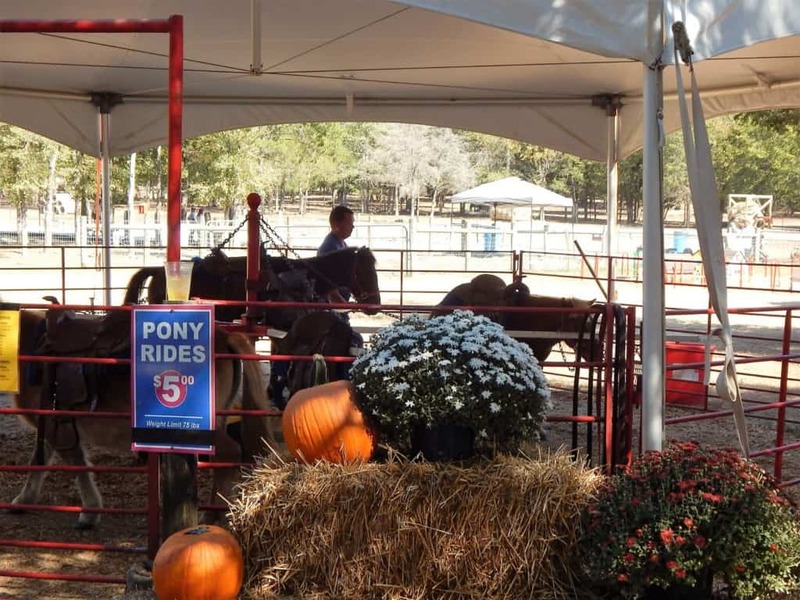 It pays for itself with 2-3 visits and kids get FREE pony rides! Put away the cell-phones and play with your kids. A visit to the farm is about spending quality time with your family. 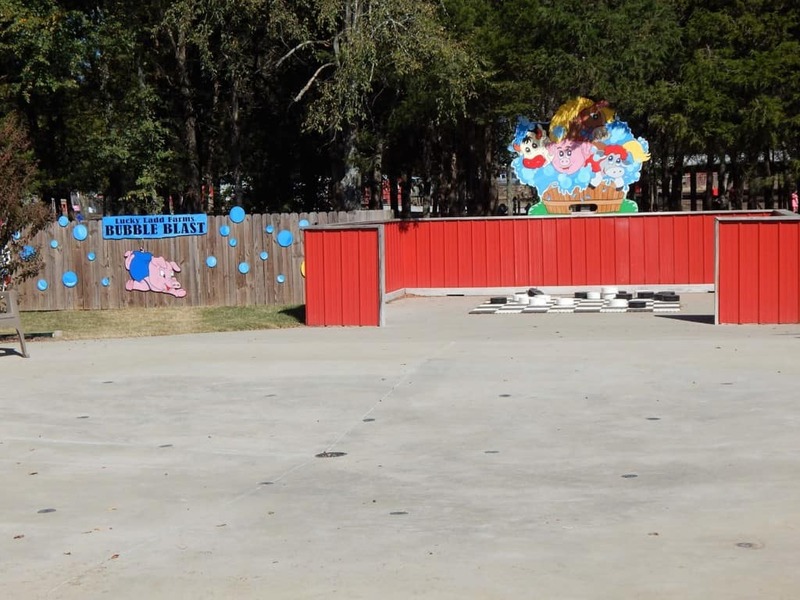 90% of the playground activities are built and tested for adults to enjoy as much as the little ones; so race them down the mega-slides, ride the barrel train, feed the goats and play games together. Do all that and more. It’ll be a day they never forget, guaranteed! Enter to win 4 passes good for the 2018 season! We love Lucky Ladd Farms! We’ve only gotten to experience it in the fall, so we would love the chance to win to be able to go in the spring! My kids love the little train! We have only been in the fall, but watching the goats were fun. I know my kids would love the splash pad! 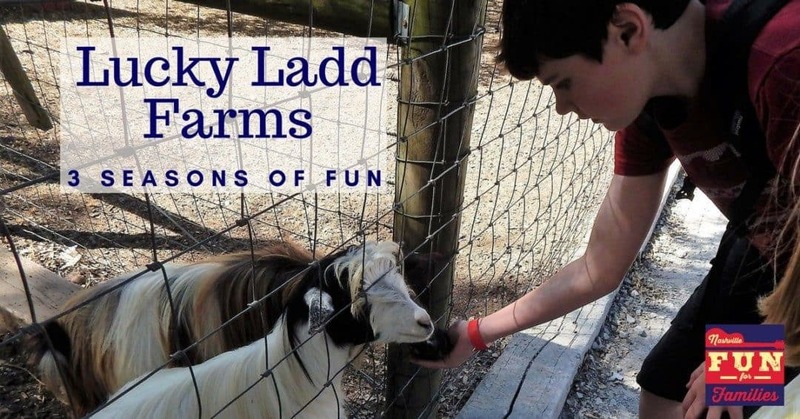 We have never been to Lucky Ladd Farms, my kids are animal lovers and love to play outdoors. I know my 4 kids will love to go there. Please consider us to be Lucky winners To see the Lucky Ladd Farms! Thanks! My kiddos love the big slides and the corn crib! 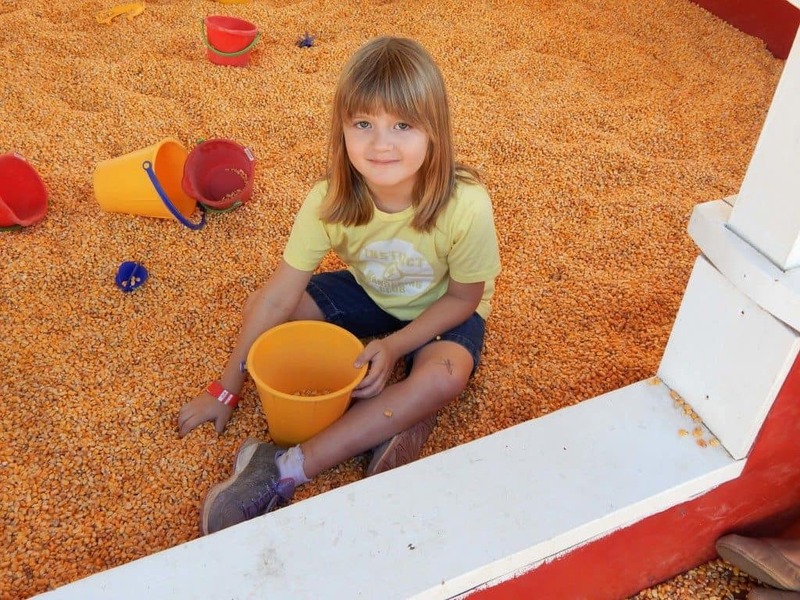 We go in the fall and love the corn pit!! We’ve never been!! But it all looks so fun! We LOVE this place!! We can spend HOURS at Lucky Ladd Farm!! Our favorite activity is this huge slide!! We’ve never been but I would love to see animals. My favorite thing is the duck water pump race! I could spend most of my afternoon there ha! I’ve never been,but I love animals and agriculture, so I would love to take my family! Lucky Ladd is a gift to the community. We’ve never been. Thanks for the chance! My son’s favorite was the bubble machine! we love coming during the follow and going on a hay ride. We also enjoy feeding and brushing the animals. We’ve never been but my kids would love it! Thanks for the article – we hope to check it out soon. We love it all! My daughter always talk about going to the farm. Always such a good time! Our favorite activity is the petting zoo, specifically the pot belly pigs. We haven’t visited yet, but we love all animals! The potato sack slide is our favorite! We love it there! Can’t wait to go again this year!!! Great place to visit. Whenever our family has time, we will definitely visit Lucky Ladd Farms. It seems a gift to the community. We love going in the fall! Great weather and lots of activities!! We have never been there and would love to take my grandchildren. Our favorite time to visit is in the Fall! We prefer to go in the Spring! Ive visited lucky Ladd Farm in the Fall and Spring but never during the summer. I absolutely loved the Fall with all the activities annd food available, especially the firepit where we roasted marshmallows for oir smores!! I have only visited in fall, but look forward to seeing the farm in summer! We love visiting Lucky Ladds in late fall when the weather is perfect for a place like this. We’ve never been but it sounds like ANY season is a good one!! My grandson loves this place we go a few times a year. Don’t tell him but Nana loves it too. We enjoy Lucky Ladd when the weather cools down – going in the Fall for our pumpkin is a family tradition. We have never been there! My grandkids would love it! We went several years ago during their Easter event. We loved watching the goats climb up these ramps & the sheep that were dyed different colors! The goats are the best! The peacocks are so pretty (if they’re still there)! It’s been several years since our crew has been. We are pretty new to Nashville and have never been, but I know my daughter would love the pony!